George Boyd Lookout is not the only hidden gem on 12 Mile Creek Road. 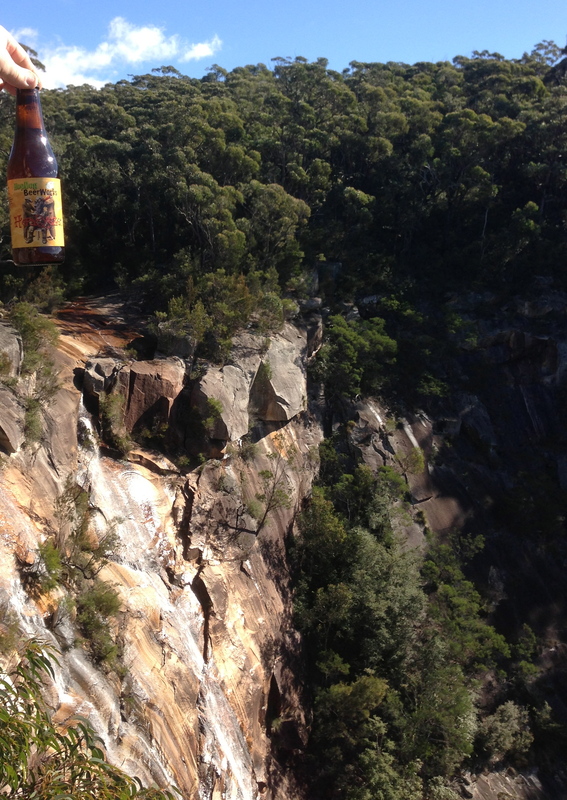 About 1km before the George Boyd Lookout is a right hand turn to the remarkable Granite Falls. Go to the car park and then walk 600m along a very solid boardwalk, before descending a couple of flights of stairs to a viewing platform. The water cascade is impressive (despite the blue skies) it had been pouring for a week just before the weekend. The 63m water fall is normally more of a trickle, but the real star is the vast granite rock face. There are different shades of rock and there are trees growing out in parts. It’s a shame that you can’t easily get down the bottom. It is possible, but there’s only one way out. 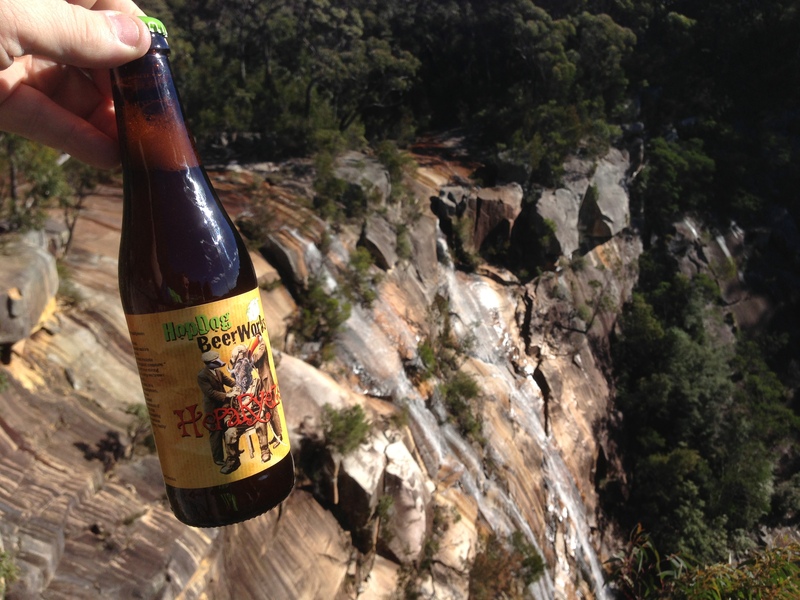 Again, the South Coast has provided a great backdrop for a great South Coast brew. 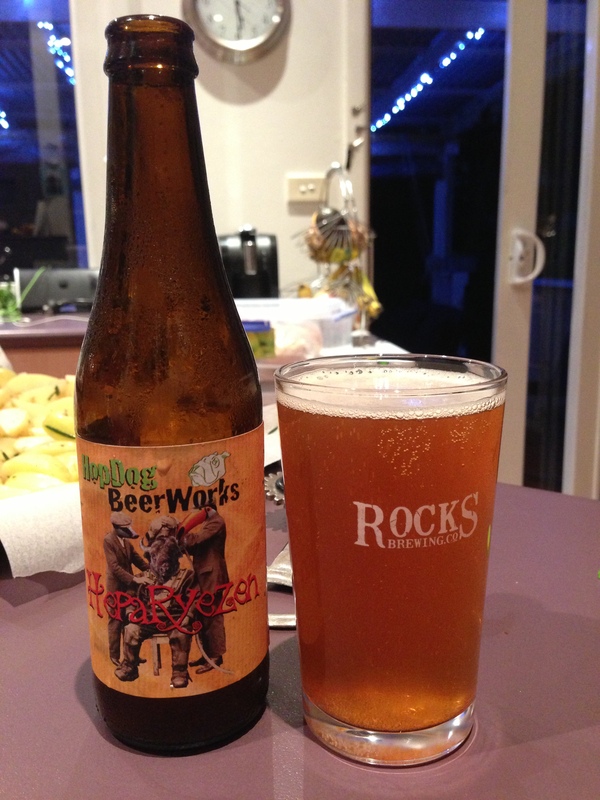 HopDog Brew Works have created a Rye Beer with a very hoppy kick. It pours a beautiful orange, and provides a long and lasting dry bitter after-taste. Get into it.